Shameless Self-Promotion: OUT NOW! Flipmode Squad, C.O.E Ent. & H.A.T.E. 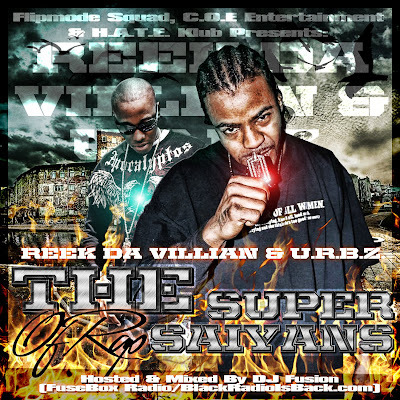 Klub Presents Reek Da Villian & U.R.B.Z. 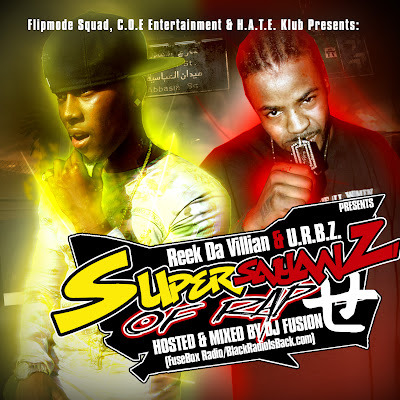 - The Super Saiyans Of Rap Mixtape | BlackRadioIsBack.com - Official Blog of the Syndicated FuseBox Radio Broadcast! What's good BlackRadioIsBack.com and FuseBox Radio Broadcast familiy! Here is the official Flipmode Squad, C.O.E Entertainment & H.A.T.E. Klub endorsed mixtape project mixed and hosted by your peoples DJ Fusion of BlackRadioIsBack.com and FuseBox Radio Broadcast. Please feel free to spread the word about this joint, download it, check things out and give feedback. 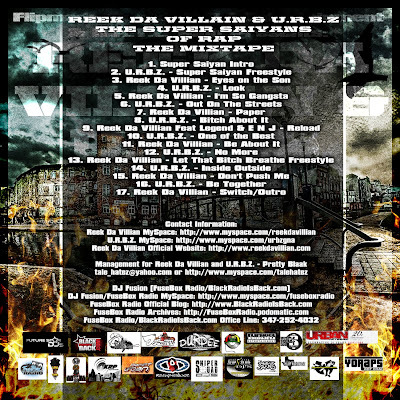 Now available on the ThatCrack.com website (LOTS of free mixtapes up on this site - shouts to the staff for adding it on).